Osband Thompson picked while two high powered offensive talents left off. Tuskegee University senior Osband Thompson has been selected as a first-team linebacker on the 2017 American Football Coaches Association All-America Team. The Tuskegee senior is the only HBCU player to earn a spot on the All-America Team. Thompson finished the season with 131 tackles, the second most in the nation. 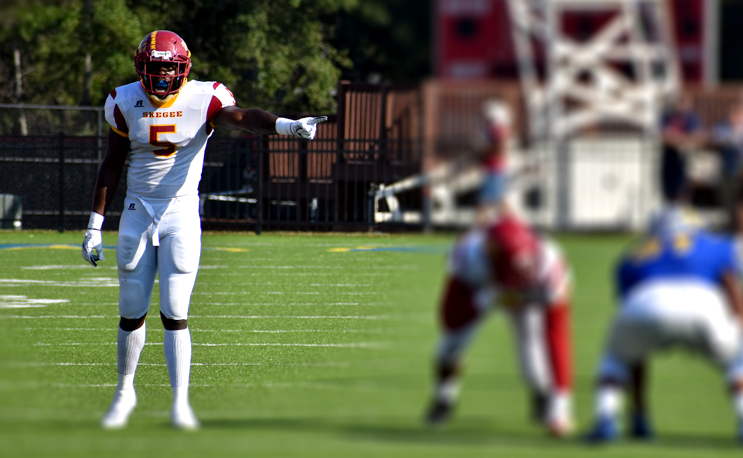 Thompson was the first linebacker in ten years to lead Tuskegee in tackles and interceptions in the same season. Two noticeable absences from the All-America team were Trent Cannon from Virginia State and Bowie State quarterback Amir Hall. Of the four running backs selected, Cannon had more total yards and yards-per-carry than three of them. Marc Jones from Gannon (Pa.) was in another world statistically, rushing for 2,176 yards in 11 games this season. Cannon rushed for 1,638 yards in the same amount of contests. Amir Hall had a higher efficiency rating, fewer interceptions and more touchdowns per game than All-Americans Travis Tarnowski and Luis Perez. In two fewer games, Hall had 3,519 passing yards compared to Tarnowski’s 3,044 yards. Tarnowski who played at Ashland, was chosen as a first-team selection. Both Hall and Perez are among the ten finalists for the Harlon Hill Trophy, given to the nation’s top football player in Division II. Tarnowski was among the 34 players nominated before the list was trimmed down to ten.